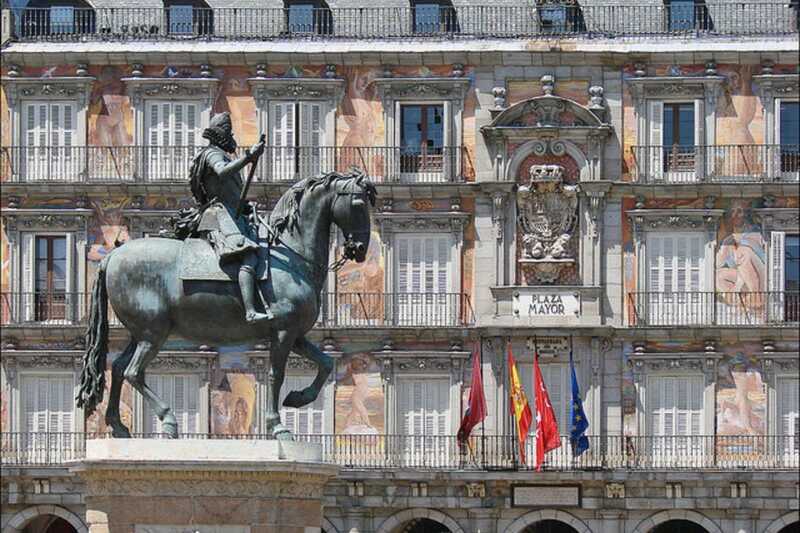 Grand and bustling, the Plaza Mayor, Opera and Sol/Gran Via area is Madrid’s most central and most important commercial and historic district. Here you will find emblematic Madrid squares like the breathtaking Plaza Mayor and the bustling Puerta del Sol, shops and theaters along Gran Via (known as Madrid’s Broadway) and plenty of hotels. In this area you will find Madrid’s most essential attractions: the fairy tale Royal Palace built in the 18th century; the big, magnificent Plaza Mayor, former site of bullfights and religious trials and current site of Madrid’s annual Christmas market; the wide Puerta del Sol, which is not Madrid’s most attractive square, but it’s most important; and the broad, stylish Gran Via avenue. For as much as Madrid loves to party and this arguably being the most central part of the city, good nightlife is an inevitable feature. Try mega dance club Joy Eslava to really cut loose (or Chocolateria San Gines next door when you need some fortification), Museo Chicote for smooth cocktails and a dose of history, and 1917 Blinis & Vodka for some chic romance. Here you will find many different shopping streets good for window shopping, people watching and finding that perfect treasure to remember your time in Madrid. The stores along Gran Via are big, bustling and cosmopolitan, just like the street itself. But for pedestrian only shopping where you can linger amidst the crowds, try Preciados street or Arenal street.